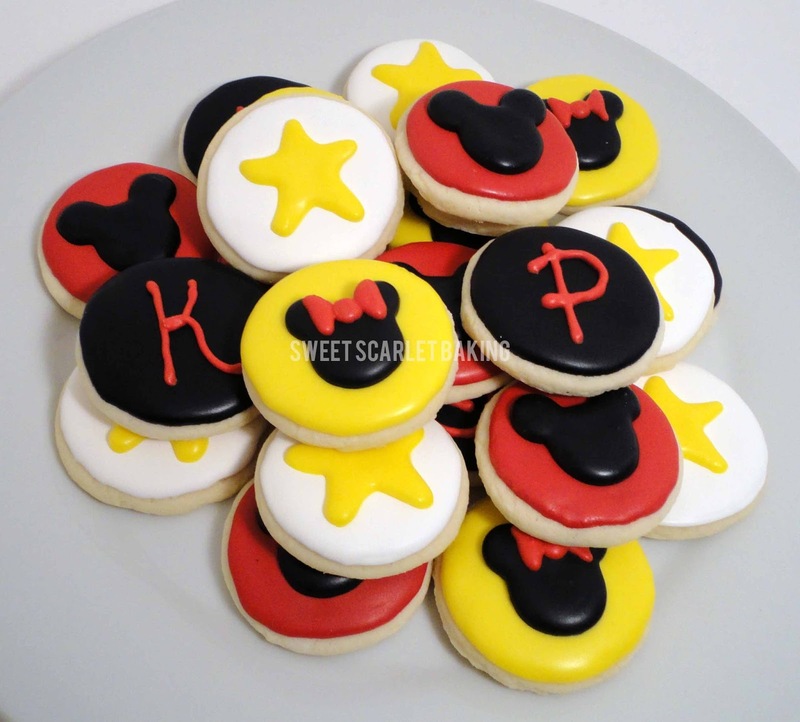 Sweet Scarlet Baking: Going to Disney World! 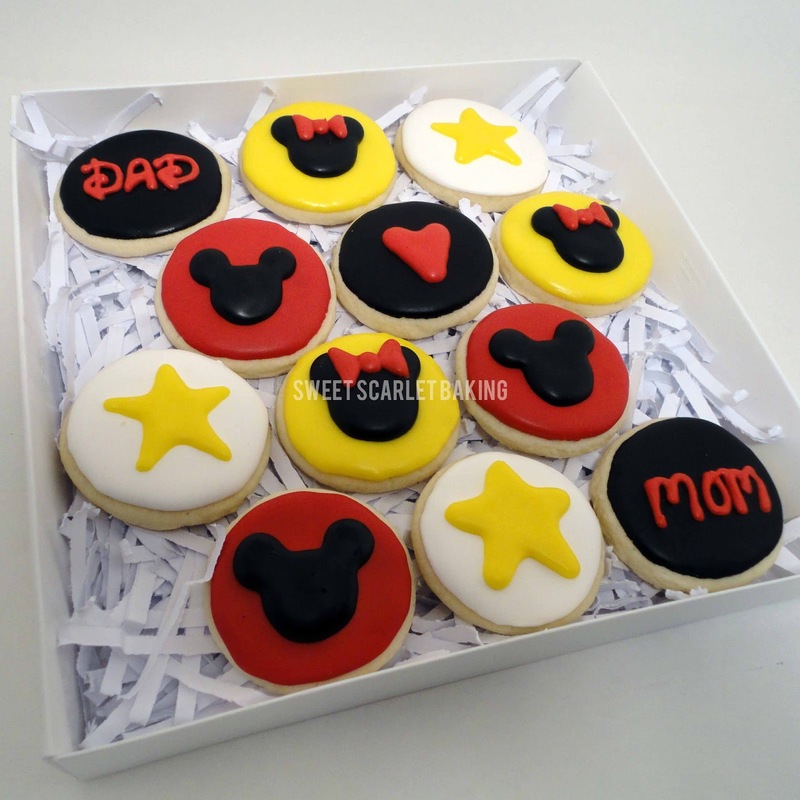 My customer and her family were taking a trip to Disney World. She requested that I create some cookie bites for them to snack on during their trip. 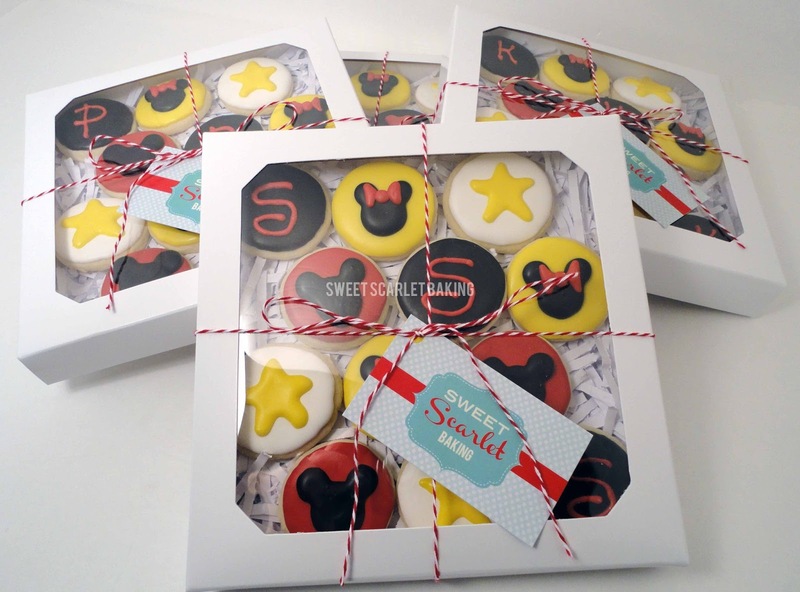 Each of the 3 kiddos got their own personalized box of cookie bites with an initial cookie, mickey mouse, minnie mouse and a star. And, of course, the parents needed their own box, as well. 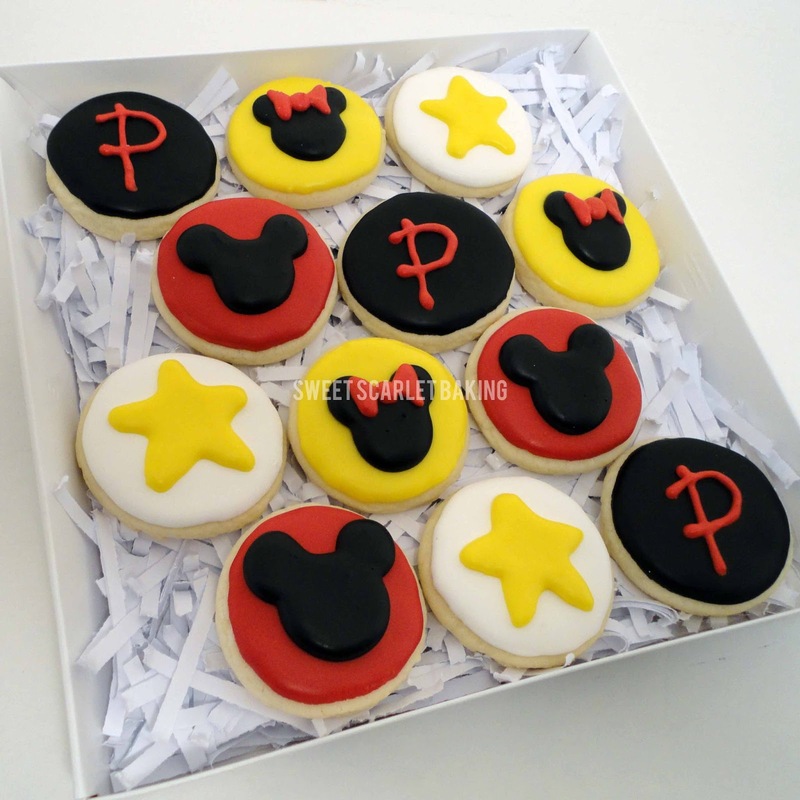 Have a Mickey Mouse good time! These were so fantastic!! I can't thank you enough.